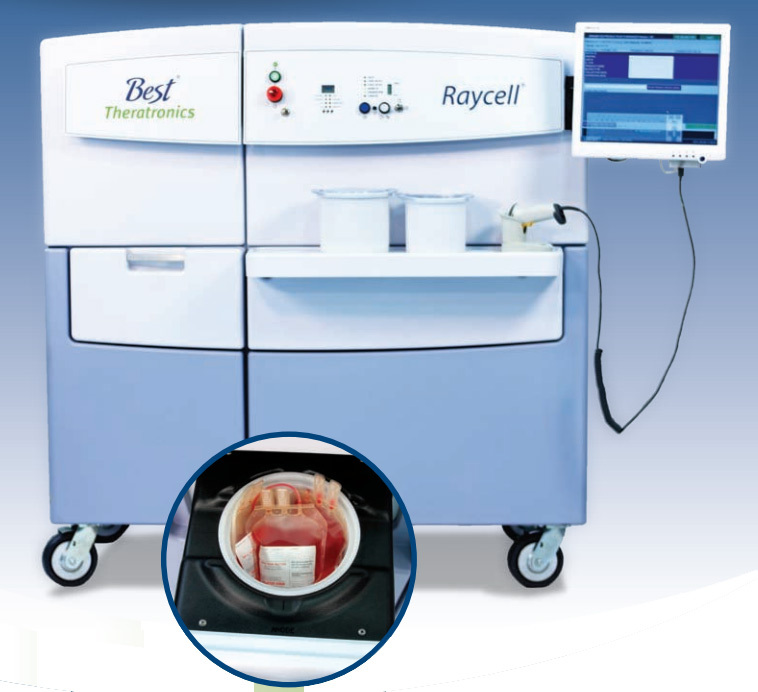 Efficient, convenient and user friendly, the Raycell® Mk2 X-ray Blood Irradiator provides a safe and cost-effective choice for blood irradiation – backed by Best®Theratronics’ trusted expertise and commitment to quality. It delivers the required dose to help prevent TA-GVHD. Larger canister size facilitates irradiating more blood bags – 2.0 L and 3.5 L (0.53 and 0.92 US Gallons). Two opposing x-ray tubes deliver a uniform dose to the product. Dose delivery is controlled by setting and monitoring the irradiation time, based on the central dose rate. Irradiation time is controlled by two independent microprocessors. Detailed dosimetry of the sample canister volume is obtained and provided at the time of installation. Installation can take 1-3 days depending on individual installation and training requirements. Scans and stores bar-coded information about the irradiated product (unit number, product code, blood type, etc. ), irradiation cycle number, operator details, date/time stamp, and irradiation indicator verification. Scans barcodes using ISBT 128 and ABC Codabar decoders, or as is without decoding. Includes three modes of operation: product entry, cycle database review, and administration. Performs additional verification of the irradiation time. Stores up to 10,000 cycles or 50,000 product entries of data in main database, and archives the rest. Exports data conveniently onto a USB memory stick (1 stick provided, 2 USB ports). X-rays are produced by bombarding targets with electrons, which are accelerated in a vacuum through a high-voltage electrical field. The dose is delivered by two opposing X-ray tubes with the sample canister located centrally between them. The two cone-shaped beams ensure that a tight dose is delivered to the product and exceptional dose uniformity is attained.